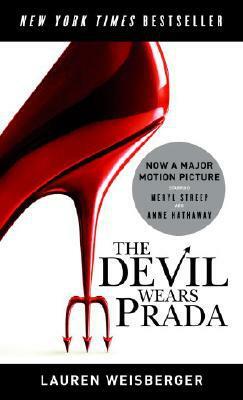 It's a killer title: The Devil Wears Prada. And it's killer material: author Lauren Weisberger did a stint as assistant to Anna Wintour, the all-powerful editor of Vogue magazine. Now she's written a book, and this is its theme: narrator Andrea Sachs goes to work for Miranda Priestly, the all-powerful editor of Runway magazine. Turns out Miranda is quite the bossyboots. That's pretty much the extent of the novel, but it's plenty. Miranda's behavior is so insanely over-the-top that it's a gas to see what she'll do next, and to try to guess which incidents were culled from the real-life antics of the woman who's been called Anna "Nuclear" Wintour. For instance, when Miranda goes to Paris for the collections, Andrea receives a call back at the New York office (where, incidentally, she's not allowed to leave her desk to eat or go to the bathroom, lest her boss should call). Miranda bellows over the line: "I am standing in the pouring rain on the rue de Rivoli and my driver has vanished. Vanished! Find him immediately!"